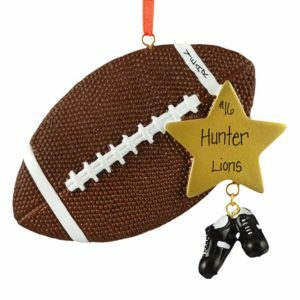 Our Football ornaments will be the perfect gift this year! 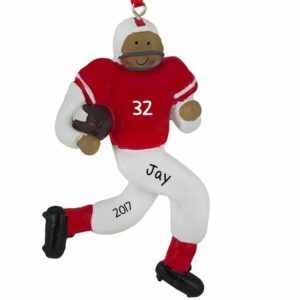 Hike! 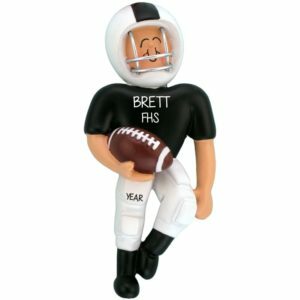 Hike! 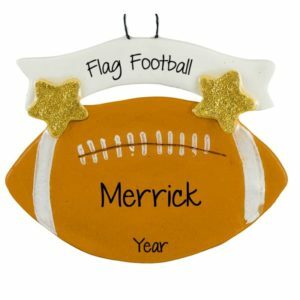 Football is an all-American sport. 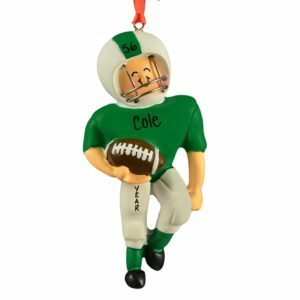 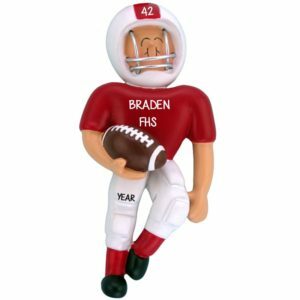 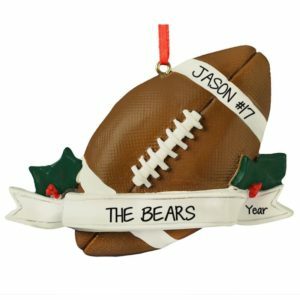 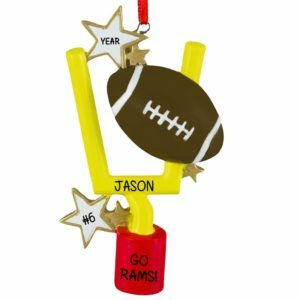 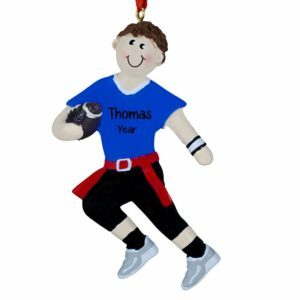 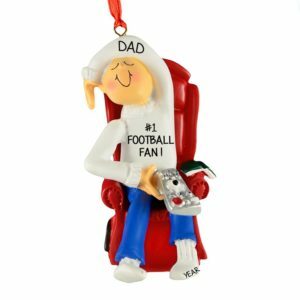 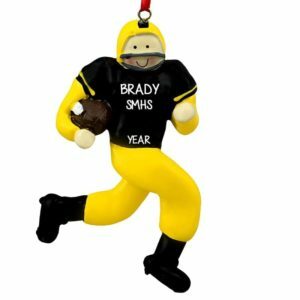 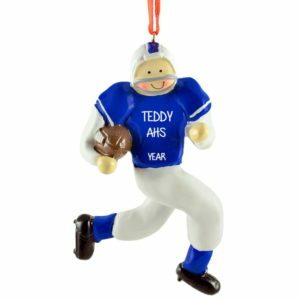 Whether you are playing the game, cheering on your favorite team, or playing in a “fantasy” league, Personalized Ornaments For You has the perfect ornament. 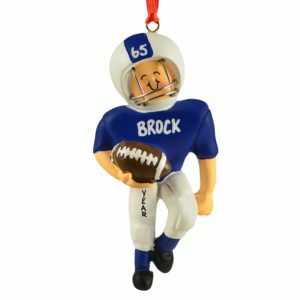 We offer a huge selection with resin, dough, and glass ornaments. 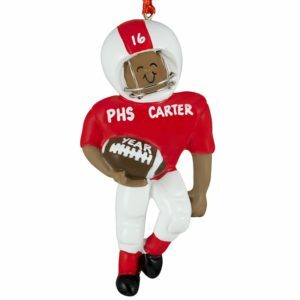 Your ornament can be hand personalized by one of our talented artists. 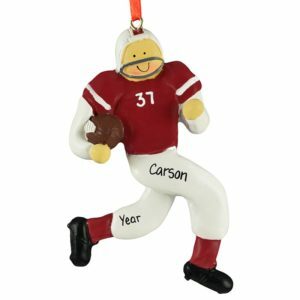 If you are celebrating a great play, commemorating a winning team, or bragging about your favorite little player, our unique one-of-a-kind Christmas ornaments are exactly what you have been looking for. 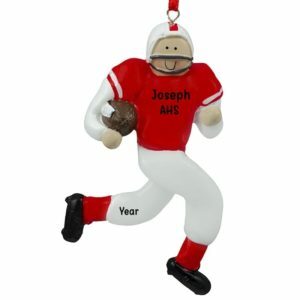 If you are marking the many milestones of your child’s life, you can find the ornament that you need. 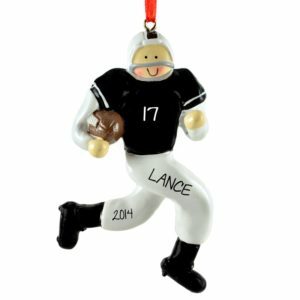 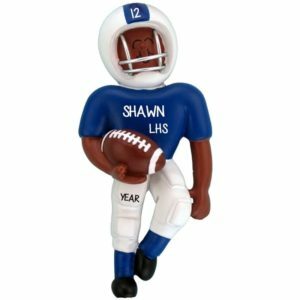 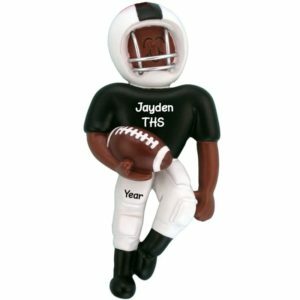 Our ornaments come in many popular team colors and can be personalized with the player’s name and number, team name or initials, and year.